The world of entertainment at its wettest! As always, good activity for families with kids! Nothing to compare with in Phuket! Lot of memories for children, couple new slides. 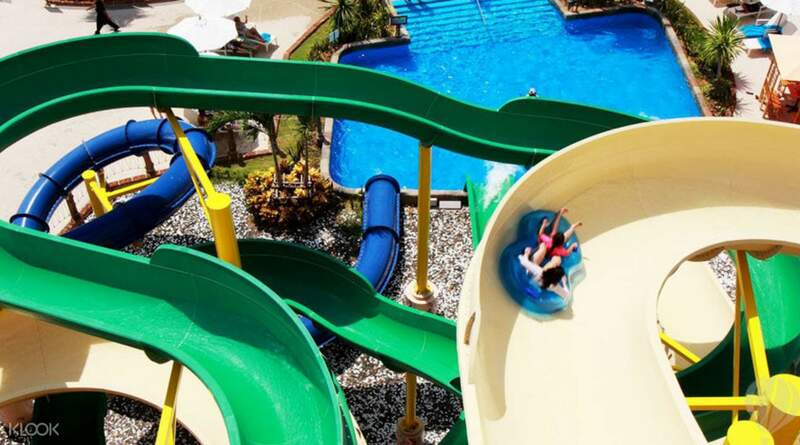 When temperatures rise, there's nothing more satisfying than a day cooling off at a waterpark! 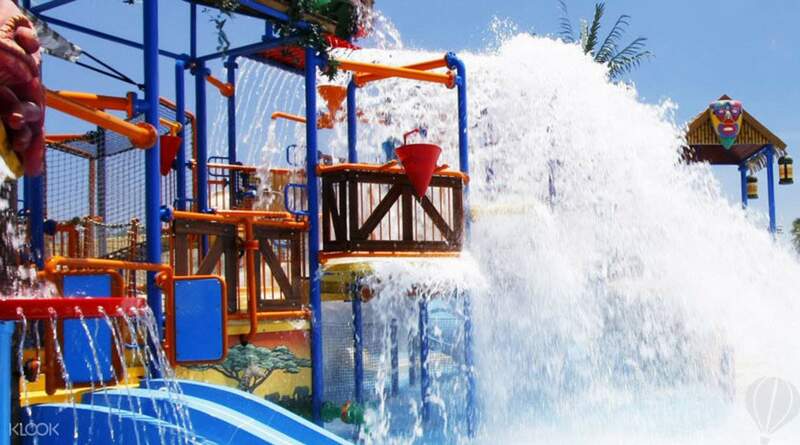 Splash Jungle features 6 different geographical themes to discover, taking you from the ancient Incas to mysterious Asia, to the splendor of Northern Europe to the plains of Africa. 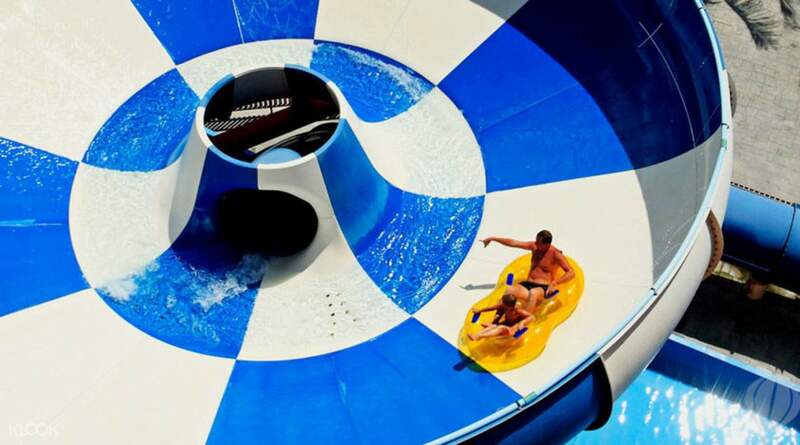 Brave the thrilling rides such as the Boomerango and Superbowl as well as the six-level wave pool. For something a little more relaxing, why not float around the 335 meters of lazy river or treat yourself to some hydrotherapy in the spring pool, whilst the younger ones frolic in the aqua-play area. 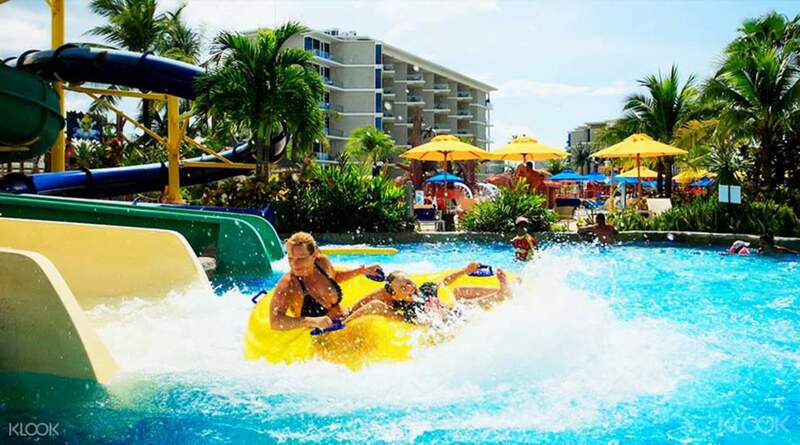 With lifeguards at every attraction, you can relax knowing the whole family's safe. Enjoy the in-park facilities, cashless payment system and you can even rent a private cabana. There's something for the whole family to enjoy. Enjoy a full day of thrilling rides for a great price. You will not be bored for a minute! Adults slides require kids to be of 102cm and above. I like the fact that the themepark isn't as big as Sunway Lagoon in Malaysia, it makes it easier to walk around and monitor my kids from far. No halal food, so we left by the time it got really hot. The themepark is perfect for families with kids as young as 2 years old and above. Location wise it is an hour drive from Patong. Best to rent a car. 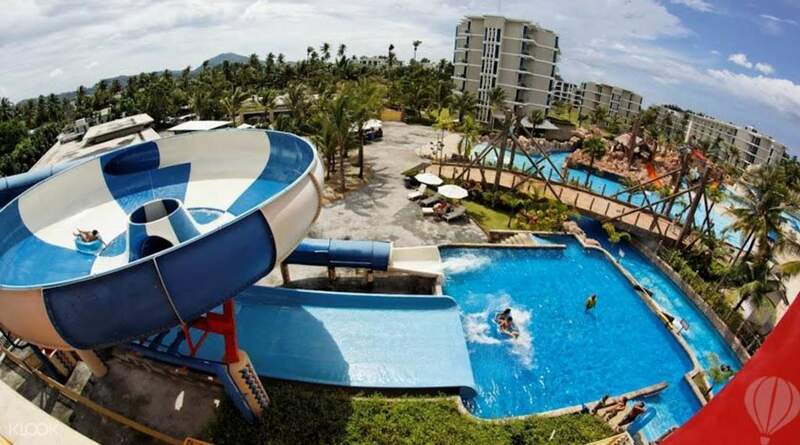 Adults slides require kids to be of 102cm and above. I like the fact that the themepark isn't as big as Sunway Lagoon in Malaysia, it makes it easier to walk around and monitor my kids from far. No halal food, so we left by the time it got really hot. The themepark is perfect for families with kids as young as 2 years old and above. Location wise it is an hour drive from Patong. Best to rent a car. I like the slides and the food there. The rides are thrilling, the queues are not too long. A few drawbacks: 1) The staff at the reception is slow. To get into park took ages (around 30 min!) You have to charge 1 bracelet per family or group for at least 500 batt. 2) The locker costs160 batt, 1 towel — 100 batt. I think it should be included into entrance fee. 3) There are very few lifeguards and they all work hard. It feels like the owner cares for money not for employees. The facilities are sort of old. I like the slides and the food there. The rides are thrilling, the queues are not too long. A few drawbacks: 1) The staff at the reception is slow. To get into park took ages (around 30 min!) You have to charge 1 bracelet per family or group for at least 500 batt. 2) The locker costs160 batt, 1 towel — 100 batt. I think it should be included into entrance fee. 3) There are very few lifeguards and they all work hard. It feels like the owner cares for money not for employees. The facilities are sort of old. it was a wonderful day for the family, i'm a big fan of waterparks over the world.. i have to say that Splash jungle wasn't as big as i imagined, and most of activities arevsuitable for younger and kids. Although, the park is well designed, personally i enjoyed "Boomerango" and " suoer bowl" the most.. my baby had a full active day and that is the jewl over the crown.. Location is unique, U can see airplanes diparture, but if UR living around Patong taxi will cast U nearly the ticket fee. it was a wonderful day for the family, i'm a big fan of waterparks over the world.. i have to say that Splash jungle wasn't as big as i imagined, and most of activities arevsuitable for younger and kids. Although, the park is well designed, personally i enjoyed "Boomerango" and " suoer bowl" the most.. my baby had a full active day and that is the jewl over the crown.. Location is unique, U can see airplanes diparture, but if UR living around Patong taxi will cast U nearly the ticket fee. Great place for children & adults. We spent almost 4 hours here. I suggest to come early and during the weekdays so it won’t be too crowded. Don’t forget to try the pizza too. Overall, it’s a great place. Great place for children & adults. We spent almost 4 hours here. I suggest to come early and during the weekdays so it won’t be too crowded. Don’t forget to try the pizza too. Overall, it’s a great place. Fantastic facilities, amazing staff and even better experience. Not to mention the food is great. I definitely suggest trying the noodle soup. At only 120Baht it is well worth it. The kids spent the entire day entertained and we as adults could be rest assured they were safe with the nearly 20 lifeguards around. Check out the pool bar too between 3-5pm for buy 1 get 1 free on all drinks. Fantastic facilities, amazing staff and even better experience. Not to mention the food is great. I definitely suggest trying the noodle soup. At only 120Baht it is well worth it. The kids spent the entire day entertained and we as adults could be rest assured they were safe with the nearly 20 lifeguards around. Check out the pool bar too between 3-5pm for buy 1 get 1 free on all drinks. You can redeem easily at the main entrance. However, if you are the hotel guest, you cannot redeem at the hotel side entrance. You can redeem easily at the main entrance. However, if you are the hotel guest, you cannot redeem at the hotel side entrance. great day out. About 10 slides all coming off one tower so lots of choice, lazy river, wave pool (although not very wavy) Unfortunately have to buy all food and drinks inside and cannot BYO. can hire towel and locker. great day out. About 10 slides all coming off one tower so lots of choice, lazy river, wave pool (although not very wavy) Unfortunately have to buy all food and drinks inside and cannot BYO. can hire towel and locker.